Did you know social media can be a great way of keep existing customers engaged with your business? Don't fall into the trap of neglecting your existing customer base and focusing too much on new customers. As a design agency, we manage social media accounts and put together social media campaigns for small and large businesses. However, we often find companies can be guilty of focussing too much on gaining new business and typically neglect their existing customer base. Did you know social media can be a great way of keep existing customers engaged with your business? We always stress how important it is to keep and strengthen existing customer relationships. Otherwise, all the effort and investment that was put in to gaining those customers will be lost. So, if talking ROI or return on investment, it makes sense that it is easier to sell or communicate to an existing customer than it is to a prospective client. But how can social media help with this? Your customers are people, so get to know them, encourage your staff to build a rapport with them. Why do this? Well it is common sense that if you know someone well, it is easier to understand and fulfil their needs. If you don’t have the time to be checking out where your clients are hanging out online, did you know there are resources that can sift through customers social media to give you insights quickly and easily? It can help you talk their language, thus giving you an edge when it comes to targeting customer’s real needs. We are of course, not under any illusions that this is simple, but it is a lot easier than finding new customers. Did you know it is proven that it’s far easier to sell to an existing customer than it is to find and nurture a new one. So, we always advise on strategies that include keeping your own brand or business highly visible across social media. 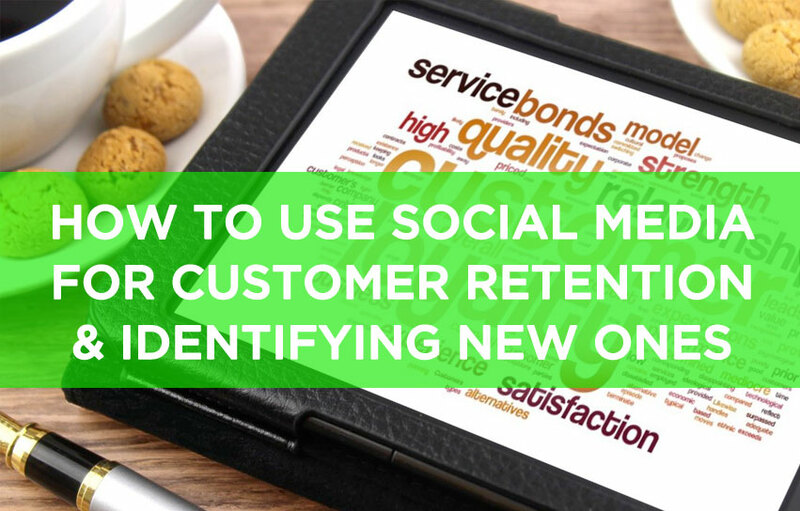 If your existing customers are active on social media so will your prospective ones be too. So, these businesses, clients or companies need to be able to find you easily. Once again, we would say it comes down to identifying where your existing and prospective customers are hanging out online, because you need to be engaging with them on that platform too. Don’t get overwhelmed by the thought of managing all these social media platforms. Not only can our company The Maltings Studios help you with this, but there are many excellent social media resources that can manage all your social media under one interface, so you don’t feel like you are keeping plates spinning in the air. Use these resources to your advantage and to save time. We like Sprout Social. It has an easy interface and doesn’t take a genius to set up! Plus, make sure you utilise social media’s automated response buttons. It is fair to say that you cannot be on social media all day, but you don’t want to miss out when someone contacts you via say Twitter. How good would it be to receive a direct response back straightaway. It makes customers feel valued that you are actioning and responding. This is a real plus for your brand or company because statistics show that social media users across all age ranges post about their experiences of a brand. Nobody wants negative sentiments about their brand floating around social media. With, automated responses, it shows you are acting upon comments straightaway, after all nobody likes being ignored. What about gaining new customers via my website? What if you could identify anonymous visitors to your website? Just think what an opportunity this could be for your business. Not only could you see who has visited your website, but also what page they looked at, well yes this is possible. Once again there are lots of resources out there but one we have reliably used is Leadfeeder. This resource identifies visitors to your website based on their IP address and then browse logs of which pages they’ve visited. This brilliant app can sync with your LinkedIn profile to reveal your connections at visiting companies! Just by using this social media resource, you can access valuable information for you to act on. Follow up with a phone call, introduce yourself, your services and products, or inform them of upcoming events that they may be interested in. Social media is an amazing resource especially for small business. It has an array of tools that can help you manage, respond and track existing and new clients. We can help you find the right balance, so your customer retention is kept high whilst finding new clients and markets to do business in. Keep your tweets high and your pokes will feel all the sweeter!